In today’s world, the future is in technology and science. Do you want to have a booming business? Want the customers on their toes with the latest market strategies? Whether you want to increase the web traffic or the revenue and the profit, moving your business from the traditional websites to mobile friendly ones, is the key. Don’t have a mobile friendly website site? Well, you need to! According to the statistics and analytical data survey, 2007 had 1 M mobile websites but within 2017, there will be a hike of 150 M. For any web developer, if you do not have a mobile friendly website, this is your wake up call. The following portion of this extensive article, will tell you why and how you can go about it. What to do and what not to do. Basically, everything important that you need to know. Before getting down to the basics and tips, be aware of why you actually need to know about the imperative need of having a mobile friendly website. So then, let’s get down to the points. Mobiles Everywhere– Have you noticed how mobiles are dominating the world of technology? People looking for a quick search for their daily life activities, families using phones during dinner time, everywhere. Having a mobile friendly site will increase the popularity and response of your website drastically. GPS in Rescue– The technology of GPS is one of the most used and needed system programs that user looks for. Having the GPS service activated in your website, will increase the potential targets surrounding the area you target. Relatively Easier– Mobile friendly website requires an entirely different development and design. But they are easier to maintain and relatively more convenient to manage. Compatible– websites that enable users to browse through their cell phones while they are outside the boundaries of their wify, is surely a win in their minds and hearts. On the other hand, finding a website which runs smoothly on the PC but not on the mobile is sure to tone down their impression of the website. Attracts More Rank– It is better in the area of SEO because it helps increase the ranking of your website in the big search engines like Google. Bing and Yahoo. 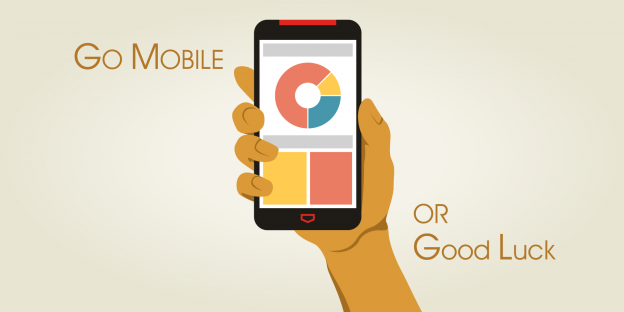 Comparatively Cheaper– It is cheaper to maintain mobile friendly website than a one that runs on the PC. If the development is done well, they are not a time or money consuming process to maintain. Two Dimensional Bar Code Benefit– Only exclusive to mobile friendly websites, the 2D bar code systems which even though appear like general bar codes, are the Swiss Knives of efficiency with the usage of a low bandwidth. They help to achieve faster results during low server speeds and you can optimize the site for the user accordingly. It has been recorded that, 75% of the mobile users leave the site only to never come back after it took longer than 3seconds for the site to load while 48 % of them felt neglected if the company did not have a mobile site already. You certainly do not want to fall into that spectrum, so learn about the various optimization tips and how it will help increase your cash flow and hike in the reputation. Mobile optimization is the aspect of handling algorithms in order to better serve your visitors with a better functioning mobile website. A site that runs on different screens, in different OS and all sorts of mobiles. Nobody likes to wait, so make sure the speed is taken care of. And simplicity is your best friend, always. How does it help to Increase Your Profits? The Web Traffic Profile- More than half of the users in the web traffic are mobile users. Therefore, to serve a mobile site for them is sure to increase the profit and demand of your website. Sales- Users are more likely to shop faster and quicker on a mobile phone than in the PC. It is because they are usually using mobiles during working hours and when they are on the road, therefore they also willingly spend money on keeping enough net balance for their phones. Search Engines Love It- Google recently cut back on various website rankings because they did not have a mobile website. Google and other big search engines, love the idea of better user convenience and serving more. Therefore, there is a guaranteed increase in your rank in the search engine. Mobile Users Vary– It is important to incorporate explainer videos, the better is animated and simple, understandable chunks of information. Don’t go onto writing an essay because that does not impress anyone to read further. Advertisement– it is important to increase the name of your brand through the various portals of advertisements. Remember to offer a good quality resolution and a satisfying mobile user experience. Check on the Ads– It is important to include advertisements for the increase in your revenue but don’t indulge too much. Too many ads ruin the function and purpose of the website. Therefore, remember to keep your ads on check and reduce the bounce rates. Check the Health– It is important to maintain and update the various systems of the mobile website from time to time. Check the backlinks, the various updated algorithms of the Search Engine Optimization systems. Easy Navigation– Users should find all the information fitting in their screen and an easy to navigate option. It is important to be detailed and have the proper help to achieve the goal of a smooth running cell phone website. You can refer to http://www.discountdomainsuk.com/ you can always call us if you need help and advice.